Hi, I'm Ash. I'm an Australian art director, interactive designer and strategist with 10 years experience in all things design and digital. I love to solve problems and craft meaningful experiences for users. I’ve worked with teams and brands both large and small; across new business, strategy, user experience, art direction, interactive design and branding. Based in Amsterdam, I’ve also had the privilege of living and working in Tokyo, New York, Melbourne and Malmö; and relish the challenge of adapting to new cultures and communities. Make It World Class presents bars, drinks, recipes and is the home of #worldclasslist, a global mission across 5 cities to make the ultimate drinks list. With seasonal editions, the portal features video and editorial content centered around immersive travel and exploratory food. 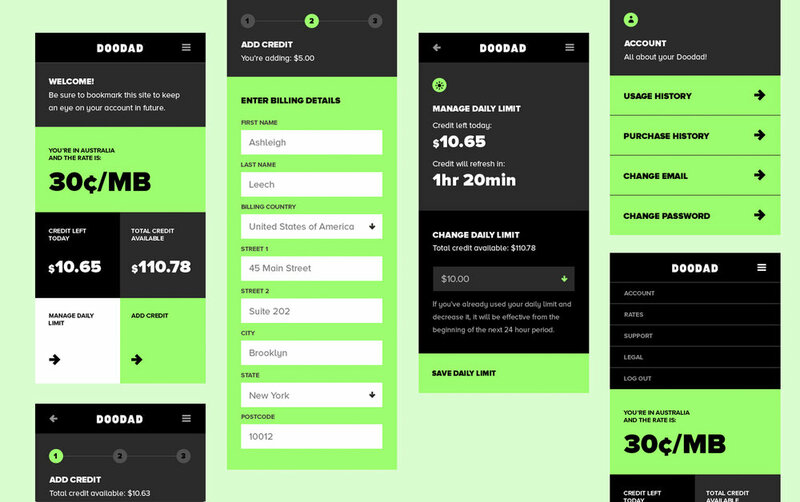 Created to make travel better, Doodad was a unique pay-as-you-go SIM card that offered flat rate internet anywhere in the world. We developed the product itself, along with the branding and digital executions. A witty-tone and eye-catching creative direction make the product hard to miss 'when in roam'. Cervélo is the industry leader in bike engineering. We transformed their bike selection process; allowing users to configure, save and compare bikes along the way. We worked alongside engineers, designed a new visual language, created a community for cyclists, simplified bike registration, directed photo and video content, established a loyalty program and implemented an editorial strategy. After a successful launch that saw a growth in traffic and customer databases, the site earned a Webby Honoree in Corporate Communications. I worked across numerous other projects with Cervélo, including ad campaigns and microsites for new bike launches and the Tour De France each year. As part of a research and development project, we discovered many New Yorkers order from the same deli everyday and spend lunch eating at their desks. NYC Hour is an app that provides short itineraries combining sights and lunch options based on your location and the time you have. Break your routine and see the city around you. Lunch different. Positioned in the heart of Malbec country, the Vines of Mendoza live and breathe wine. As established experts in the Uco Valley region, the challenge was getting visitors to Mendoza itself. When booking a trip from the other side of the globe, it was virtually impossible to plan a stay in anything but Spanish. No one was really owning the space. We saw the opportunity to share years of knowledge in luxury experiences to create an online guide for the region. With over a million monthly visitors, Adecco needed a site that would speak to a multitude of audiences; both employees and employers, working across all industries and at any stage of their career life cycle. We worked with various groups of stakeholders to understand challenges for both Adecco internally and their audiences alike. Working through project objectives, site and competitor analysis, personas and scenarios – we defined goals, requirements and priorities for all audiences. After numerous iterations, responsive prototyping and comprehensive user testing the result is an experience based around the users decision process – complementing the real-life interactions that occur alongside it. Our responsive solution reimagined the job search and application process and introduced the ability to save searches, jobs and manage multiple resumes - no matter where you are. A comprehensive content strategy assisted Adecco with migrating, updating and creating targeted content for their audiences across all their channels. A series of app concepts to help both employers and job-seekers improve the job hunting process. Mentor provides daily guidance, modeled after personal philosophies from inspiration people. Job Shuffle is like Tinder for jobs, efficiently offering smart listings based on skills. Hireboard helps employers rate and rank potential candidates and pools results. Team Mate tracks employees happiness to improve retention rates. Preppr provides digital coaching before job interviews. ABAF provides advice, education, volunteering and networking opportunities that connect the arts, business and donors. 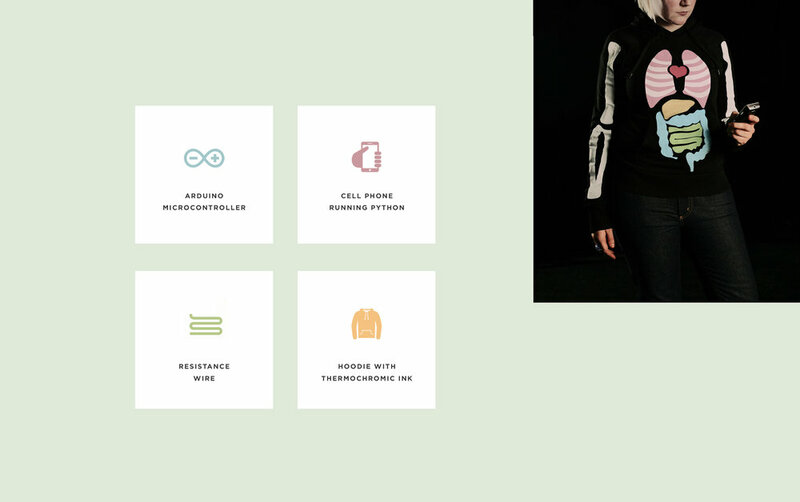 An audience based navigation was paired with a new visual language for the brand. The result incorporates serifed typography, a strong grid, a muted color palette and expressive imagery that conveys their success stories. We were tasked with preparing a future vision for RMIT University; for three, five and ten years into the future. Researching future tech trends and working with faculties and students, we created concepts for this imagined future. A truly connected campus that runs an operating system, allows for discussions in classrooms, helps international students navigate and allows sharing of content with a swipe. Campaign landing page for the Japanese release of Ultime8; a new range of cleansing oils from cult cosmetic brand Shu Uemura. Designed responsively, content focuses on science, ingredients and just how good it feels on the skin. A family company with a long history in the heart of New York's diamond district, A.S. Diamonds were looking to develop both their brand and online presence. Our dramatic interpretation included dark photography that allowed their diamonds to truly shine along with a striking serifed typeface. Would you recognize your loved ones if they were living on the street? This social experiment tested the theory in the streets of Manhattan with astonishing results. The campaign was designed to reveal the faces behind the homeless and to raise funds for the New York City Rescue Mission. The Australian Financial Inclusion Network exists to raise awareness and commitment around micro finance. We developed the entire brand; including custom illustrations, a bold palette and a unique geometric web layout. The logo represents the overall service concept; with one shape providing the means for the other to support itself. Partnering with artist Karan Singh, the name 'Half of Us' comes from the statistic that half of us (in Australia) will be diagnosed with cancer. Half of Us was an illustration marathon; 12 illustrations created in 12 hours, where prints of each of the illustrations were sold to raise funds for the Cancer Council. A site developed especially for children in a local council area, to communicate what they would like in their local community. 'Show' and 'Tell' areas were used to address both younger and older age groups. The illustrated cityscape with its bright and engaging palette were created to reflect the region. Providing tools for credit risk management professionals, Moody's needed a refresh to turn their existing presence into something that is a pleasure to read. Numerous workshops across departments led to a cohesive approach for a huge array of content that adheres to strict corporate visual guidelines. My personal blog to record the process of moving about the globe, along with a journal of my travels along the way. With a focus on imagery and editorial content such as city guides, the end result is built on Wordpress and is updated from time to time. A project with Alexander Szekely in Sweden. We developed a prototype hoodie that responds to messages received on the wearer’s mobile phone. A python application on the phone checks incoming messages, sends data to the garment via an Arduino board and changes the garments appearance through resistive wire and thermo-chromic ink. The keywords correspond to organs; for example, a text message about love reveals the heart. Working as a commercial photographer, I've been commissioned for various assignments ranging from editorial content to social media campaigns. These images are from a recent project for Diageo, capturing hidden gems in the Japanese city of Nara for online publication. I'm currently based in Amsterdam, where I work on digital projects on a freelance basis. My past few years were spent in Tokyo working with clients such as L'Oreal, Diageo and Adecco. Prior to this, I led the creative team as Art Director at digital agency Reactive in New York. During my time in Japan, I also focused on communication from a different perspective as a language teacher. I travelled extensively through all 47 prefectures, meeting locals to highlight regional areas on my blog. I also work as a photographer; mostly on editorial and tourism projects. Before finding my love of travel, I grew up in country Australia where I started out in print design and magazine publishing.